Just type ./argouml.sh and hit Enter. Here you go!! ArgoUML was there for a while and they have evolved over the past few years.. improved a lot. You can also try "dia" , which lets you create wide array of diagrams. You can also find a bunch of eclipse plugins to do the same. Though somewhat feature restricted, my preferred UML tool nowadays is Netbeans UML plugin. I found that the reverse engineering facilities (from code to UML model) are really interesting. Other thing is diagrams are visually much more pleasing than the ArgoUML diagrams. argoUML වග C# වල code generation කරන්න පුළුවන් plugin එකක් තියෙනවා කිව්වත් එක මගේ පරිගණකයේ හරියට වැඩ කලේ නෑ. දන්න කෙනෙක් ඉන්නව නම් උදව්වක් කරන්න පිංසිද්ධ වෙනවා. මම නම් භාවිතා කරල තියෙන්නෙ Rational Rose හා Enterprise Architect(http://www.sparxsystems.com.au/products/ea/) විතරයි. Enterprise Architect මේ සඳහා මමට හමුවුනු හොදම මෘදෘකාංගය. 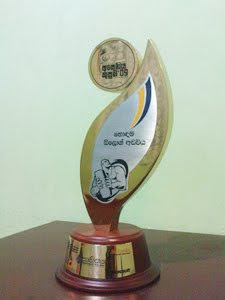 නමුත් නොමිලයේ නෑ. මමත් දැනට පාවිච්චි කරන්නේ Netbeans හී UML ප්ලගීනයයි. ArgoUML හොඳ ආදේශකයක් වෙයි වගේ.